The ingredients are simple. 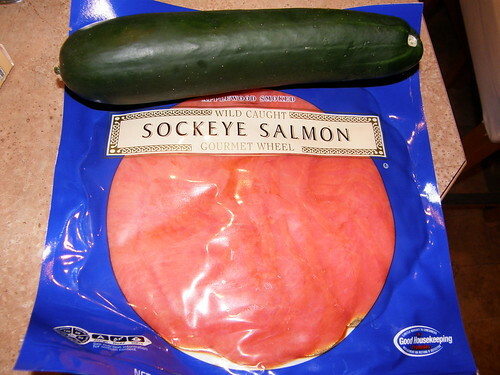 Just some regular cucumbers and cold smoked salmon. 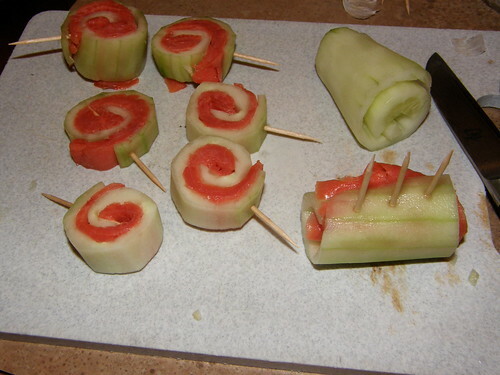 Peeled and cut cucumbers. I can't really describe how to cut it, but i'll try. I cut the cucumbers into 3 pieces and then sliced it like...well, have you ever tried to peel an apple with a knife without breaking the peel? It's kinda like that. I'm sorry if that didn't help, but I hope you get the idea. You cut it until the get to the seeds part and then toss that away. 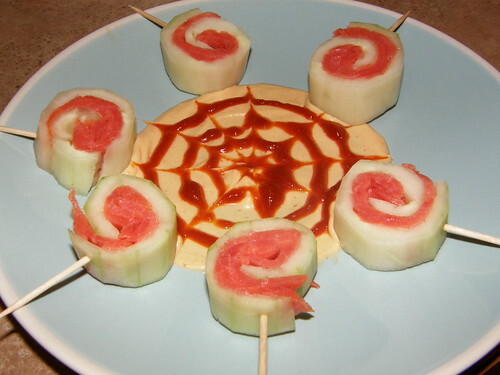 After I have it all sliced into thin long strips, I place the salmon in the cucumber slices then roll it and secure it with several toothpicks. After they are secured, I slice them and they look like lollipops. Sort of. It looks and tastes good, but its even better with some dynamite sauce which is pretty much just mayo and sriracha hot sauce and thats it. I used about a tablespoon of mayo to 1/2 to 1 whole tsp of sriracha. You can add more or less according to your taste. 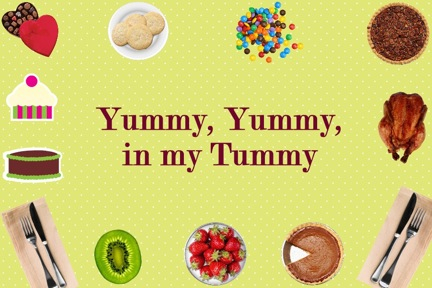 Happy Eating! 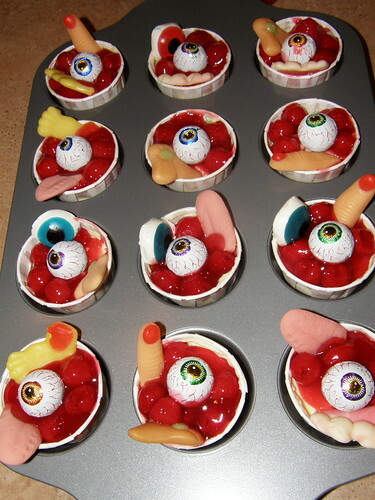 Halloween treats~ Bloody mini cheesecakes with eyeballs and bodyparts. 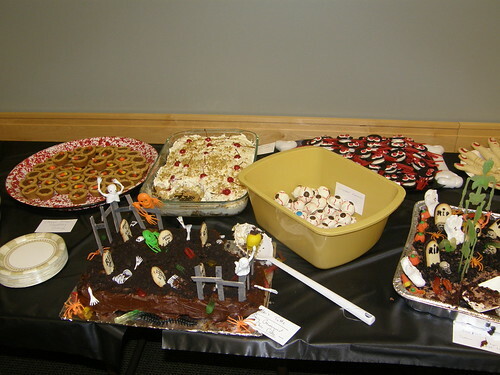 There was a contest at work for best halloween dishes for appetizers, main course, and dessert. I wanted to enter into the dessert category. 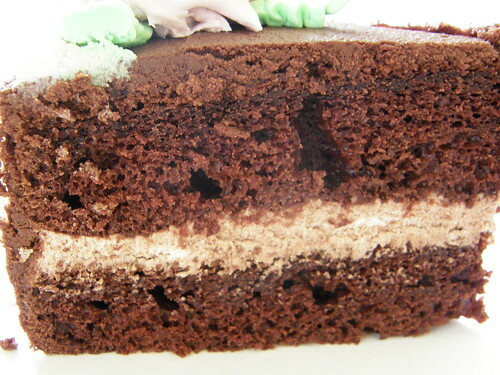 This is what I wanted to enter into the desserts category. To make a long story short, I put my cheesecakes in the wrong table, thus it wasn't included in the contest. Oh well. At least there weren't any leftovers=) That's a good thing. (I watch too much Martha Stewart). 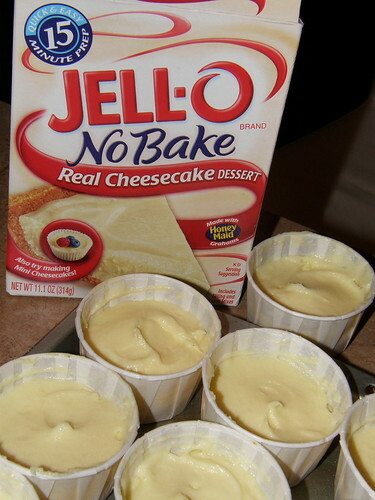 I basically just used 2 boxes of No Bake Cheesecake mixes, bought a can of Lite Cherry filling, eye ball candy and gummy bodyparts candy and went crazy with that. Very easy. Glad I didn't put mine on that table to compete. There were some very good competition don't you think? 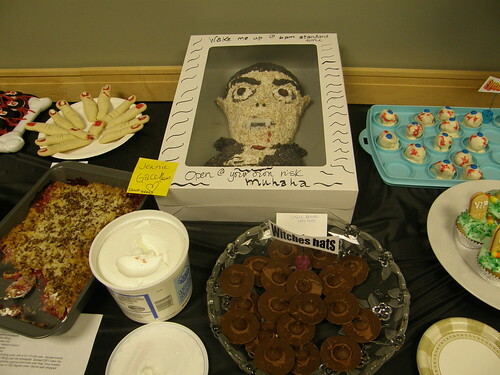 That Dracula one made out of rice krispies got my vote....except it wasn't really up to the partygoers to pick the winner, the judges had already been chosen. I believe the cake eyeballs won. I'm not sure which one since there were 2 different ones. I wish I took more pictures, but I didn't. I had my daughter with me and I was in mommy mode and not really thinking. 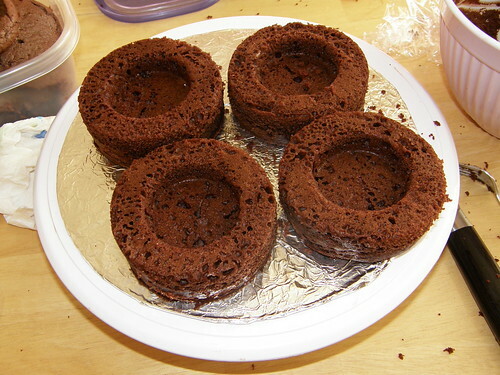 Wilton Course 1 class complete! 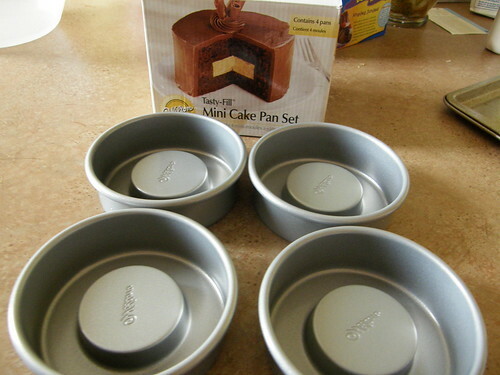 Wilton mini cake pan set. 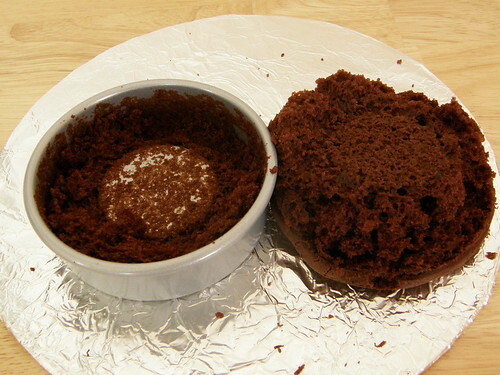 I crumbled the cake using a pastry blender and fork. 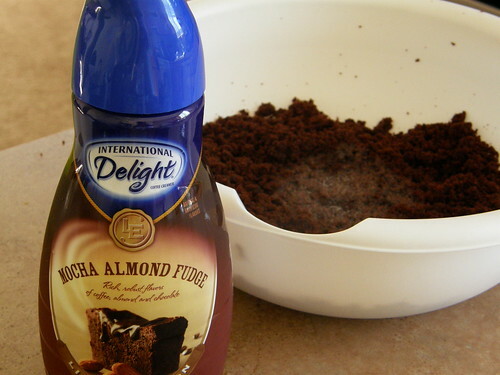 I added about 1/2 cup of flavored creamer (it depends on how much crumbled cake you have. 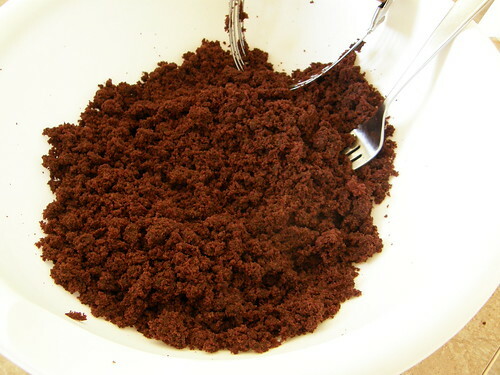 The recipe I referred to said to make a "medium sized puddle" in the crumbled cake mix. I should have used a flavor I liked instead I chose this because it was "new" and it sounded good. It doesn't taste all that good. I should have gotten something safe like French Vanilla. 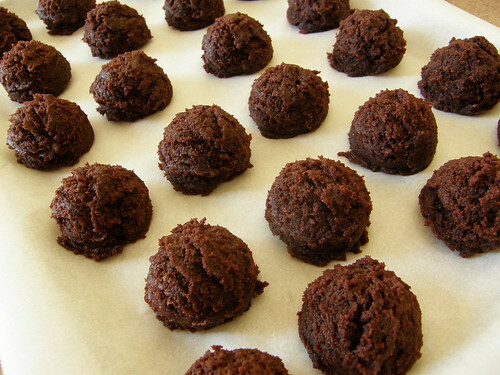 I used a tablespoon scooper to make these sized cake balls, then I froze it for about an hour. I forgot to take picture of the melted chocolates I used and also forgot to take a picture of me dipping the chocolates. I used Premium Dark Chocolate Candy melts I bought from Michaels. 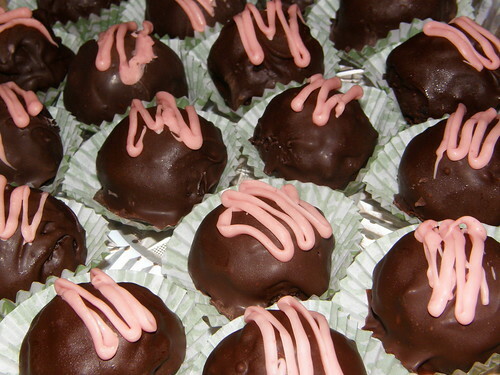 The pink is just colored white chocolate that I also got at Michaels. I filled it with Nutella whipped cream. I used about 1/2 cup of Nutella, added about 2 tbsp of milk. Microwaved it for about 40 seconds and mixed it until combined. I then whipped 1/2 cup of heavy cream and later folded in the Nutella mixture. 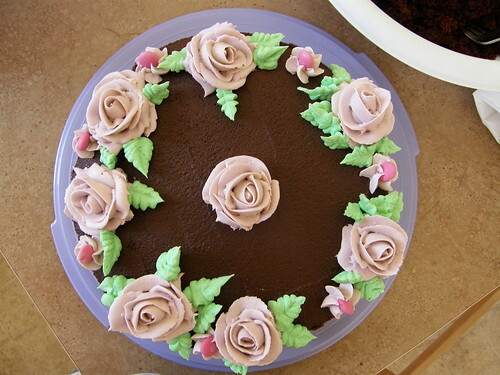 I made a lot of filling because I was also using it for my other cake (the reason why I didn't take to many pictures...I was in a rush to make the other cake for my class). 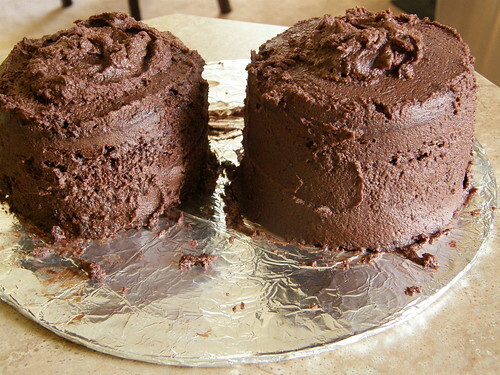 Here are the messy cakes...becauseiwasinarush...and didn't have time to make it all pretty. 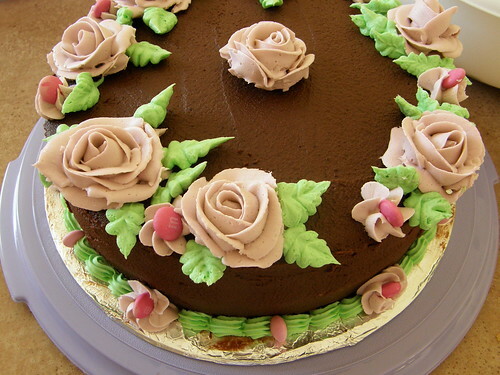 Oh, the frosting is whipped ganache. The same recipe as I used for my daughter's christening cupcakes on my previous post. 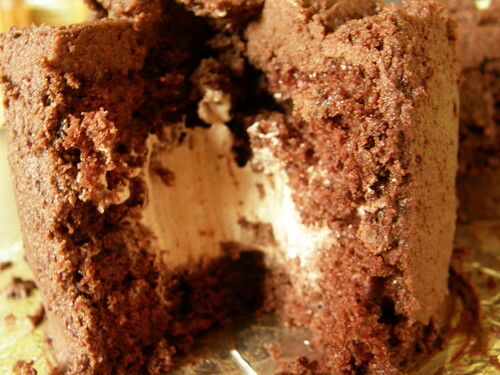 Here is the interior of the cake with the yummy, yummy filling.